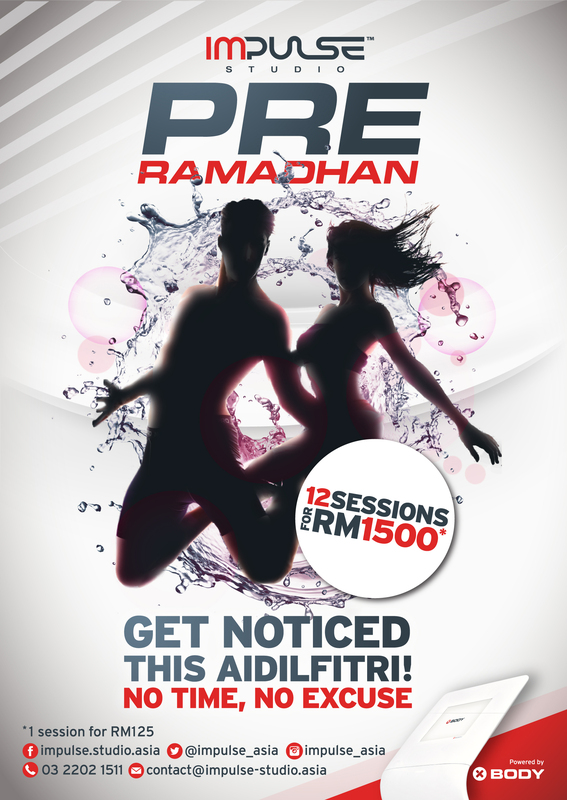 Limited Edition Promo for only RM1500! Don’t let Ramadan buffet get in the way of that fabulous Jovian Mandagie Aidilfitri dress! Yes, we’ve all been there and done that, no energy left to hit the gym by the time you break your fast. At Impulse Studio it’s magical, come in for 12 pulse-mazing sessions at only RM1, 500 especially for Ramadan and you might end up with 1 size smaller. Try it! Refer here, for Terms and Conditions. 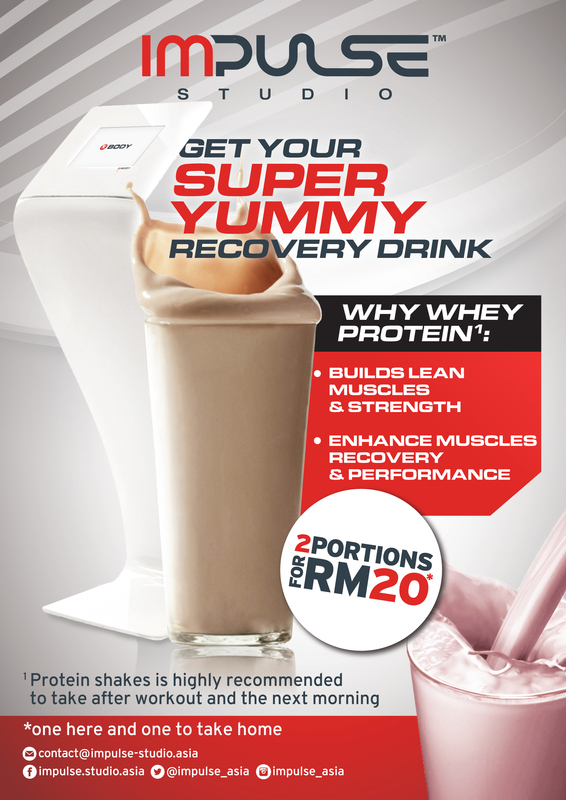 The fastest recovery to a beautiful toned body after a 20 minute Xbody workout is the Whey Protein drink, available at our outlet in Platinum Sentral. Whey Protein is the only macro nutrient the body needs to grow and develop muscles fibre tissues. If you want to have a leaner body then Whey Protein is the drink for you, it works as a maintenance mechanism. To optimize physical results and maximise the body’s recovery a tailored diet is essential. It should be designed to serve an optimum ratio of all three macro nutrients: protein, carbohydrate and fat. Whey Protein are designed not to only assist with developing a leaner body but works for weight loss because it offers a sustained protein release trough out day and night. Find out more here and enjoy the great deal! Previous Post [UPDATE] G-Tower for Power!